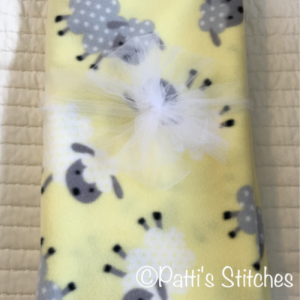 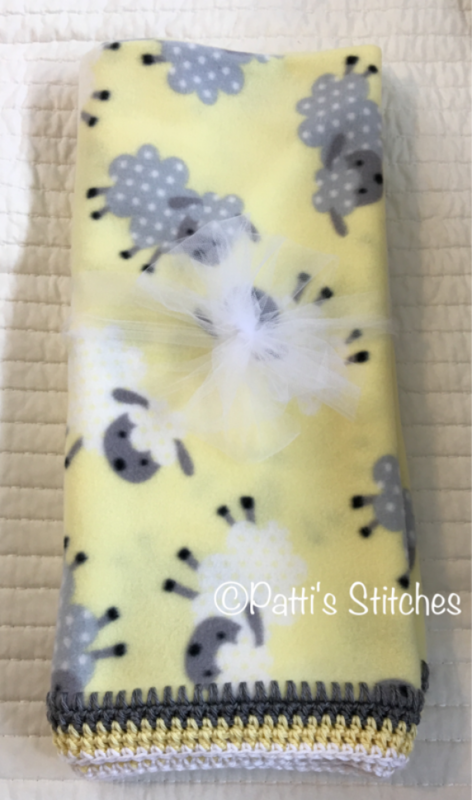 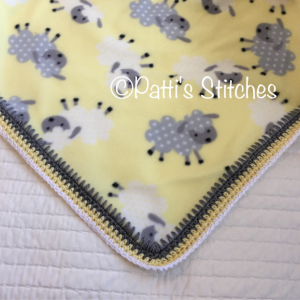 Crocheted edge Fleece baby blanket includes your choice of matching hat. 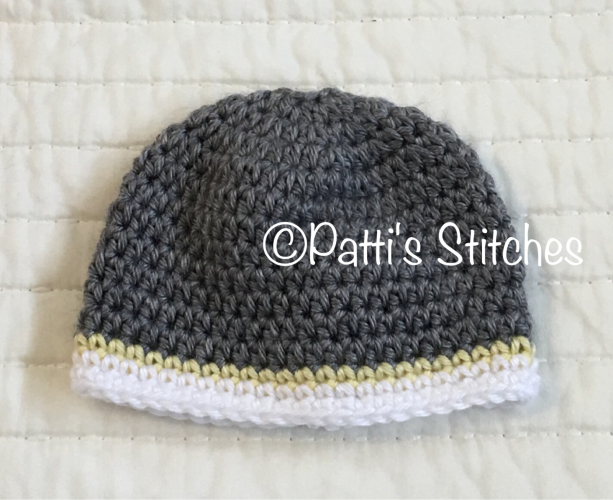 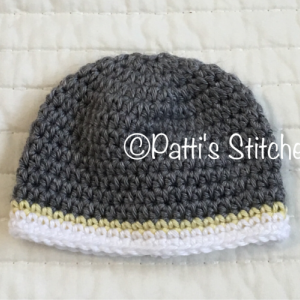 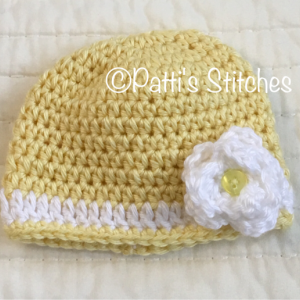 The crocheted yellow hat is more girlish and the gray crocheted hat is boyish. 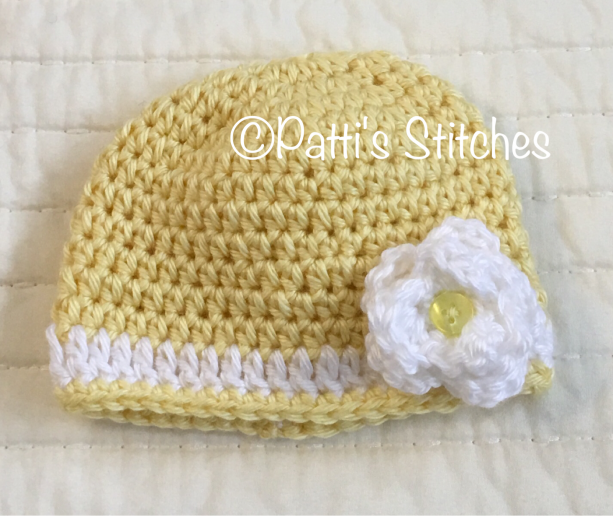 Great gift for that new baby.